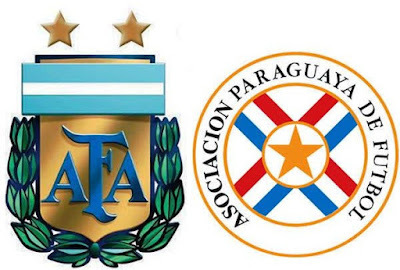 Copa America 2015 Match Preview - Argentina vs Paraguay read the full details of semi final of Copa america. Barcelona star Lionel Messi will be playing an important role in this clash. With host nation Chile securing a place in the final with a hard fought victory over Peru; it’s time for Argentina and Paraguay to face-off against each other again to grab a spot in the final. These two sides were drawn in the same group and faced each other in their opening group game which produced not only a thrilling finish but also a resilient performance from La Albirroja. Argentina in the whole tournament have not really played their best football which we know they are capable off, they had to grind out their wins. They started the campaign with a draw against Paraguay and then went on to beat defending champions Uruguay and end the group with a win against Copa America new boys Jamaica. They squared off against Colombia in the quarter-final and had to take the game all the way to penalties to progress through to the semis. Paraguay the runners-up in last time’s Copa America showing a lot of consistency by reaching the semis again, and judging by the last time they played against Argentina, La Albiceleste cannot take them lightly. La Albirroja started the campaign with a draw against Argentina and then went on to beat Jamaica and the ended the group stage with a one all draw against Uruguay. They faced the mighty Brazilians in the quarter-final and once again showed their fighting spirit coming from behind to level the game and take it to a penalty shoot-out. Both these sides have tasted success in this tournament, but for both it been a long time. Paraguay came close last year but lost to eventual champions Uruguay and the last time La Albiceleste tasted Copa America success was way back in 1993 and for La Albirroja it was way back in 1979. Lionel Messi has won everything there is to win at club level, but at the national stage he is yet to win an honour, came close in the 2014 at the world Cup at Brazil. The Barcelona attacker has stressed the importance and his desire to win the Copa America. On paper La Albiceleste definitely looks a more formidable side. La Albirroja on the other hand know that they too have a chance as they squared off once already in this tournament with them and will look to improve from the last time they met. Argentina boss Tata Martino has not been impressed with his side’s performances in this competition so far and will definitely be looking for a better response from his side in the semi-final. Paraguay boss Ramon Diaz who has been appointed only recently has done a fair job and believes his side can cause an upset as they have been exceptional football against big sides. The last five meeting between these sides have seen the Albiceleste winning three and the Albirroja winning only one and drawing one which is the most recent result. La Albiceleste however should be cautious as a few key players have received yellow cards and one more would see them miss the all important final. The players are Lionel Messi, Sergio Aguero and Javier Mascherano. Argentina: Romero; Zabaleta, Demichelis, Otamendi, Rojo, Pastore, Mascherano, Banega, Messi, Aguero, Tevez.